I’ve created a modest challenge for friends and readers at Donor’s Choose. I recently donated $150 to a project that would allow a first grade teacher to create a Newt habitat for her classroom. I then read about the Blogger’s Challenge where Google, Yahoo and others have created awards for bloggers who raise the most money or reach the most students by the end of October. Prizes range from $500 for the project of your choice to lunch with Yahoo’s Jerry Yang. I don’t know how philanthropic my readers are, but I’ll take Yahoo’s idea one step farther. I’m not as famous as Jerry, but I will happily lunch with those of you meet my Challenge and donate to one or more of these projects. (Lunch will have to take place in the SF Bay Area or wait till I visit a city near you.) 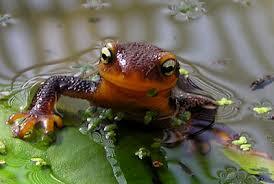 Projects need funding ranging from $149 for the Newts to $2,989 for the media class LCD Projector and video cam. Even if you can only donate a small amount, please do. If you donate over $100, you’ll get a thank you note from the class! * Science In First Grade: Exploration When I taught science to my son’s first grade class, I found the english language learners increased their vocabulary dramatically. I think we should support this teacher who wants to expand the first grade science curriculum. * Partnering with Parents This isn’t science or tech — it’s just a good idea. It would be great to help this teacher empower parents to be involved, when they have the motivation, but can’t take off work to participate in the classroom. You can also see an overview of the Ultrasaurus Challenge Projects with thermometers showing how much funding they still need.